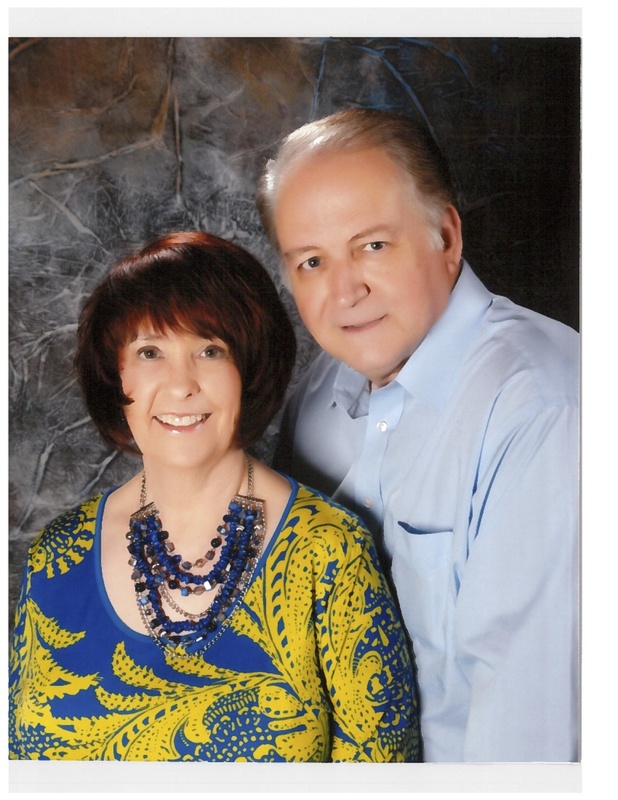 Dr. Robert Moore and his wife Patty have a long history with military ministry serving variously as Pastor/Center Director, Director of Field Ministries, European Representative and International Director. They have been involved in many aspects of this ministry since early 1977. Robert has been a frequent conference speaker for military and civilian settings in the USA, Europe and the Far East. 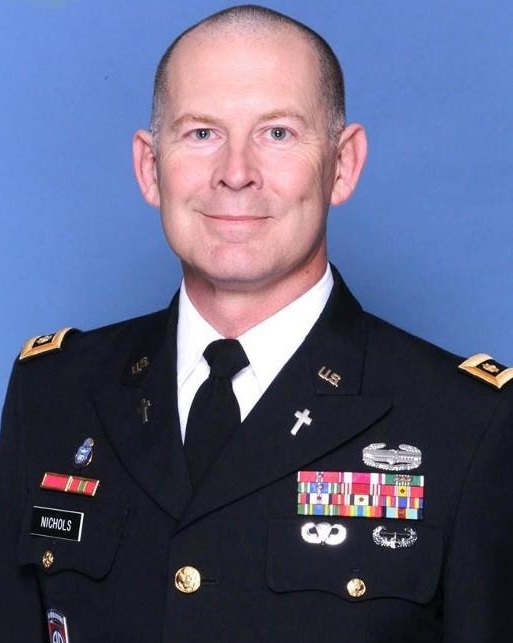 He has been a long-time advocate for the ministry of the military chaplain as well as the need for civilian and lay-led ministries to compliment the programs offered by the military and Department of Defense. The passion of their lives is to connect military, veterans and their families with missional Christian communities. They believe deeply a life connected to Christ must likewise connect with other believers for worship, support, accountability and mission. A connected life is a resilient and fruitful life. A connected life will not only survive any environment, they will overcome and thrive. Developing, connecting and supporting these faith-families in military communities is at the heart of the mission, vision and values of Freedom Outreach Ministry to the Military. 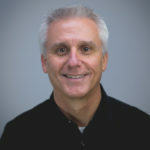 In addition to working with MTTM, Robert served as an associate and lead Pastor, as a church planter, a state evangelist, and as an administrative bishop in the USA. Robert and Patty have both been deeply involved in education, training, pastoral care and leadership development. 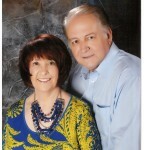 Robert and Patty have published numerous articles on family life and ministry in a military or institutional setting. Dr. Moore served on the board of directors for the European Bible Seminary (1980-85) and was a part time instructor and visiting lecturer from 1980-94. Patty and Rob met while they were in college and are both graduates of Lee University having been awarded baccalaureate degrees in education & Christian education respectively. 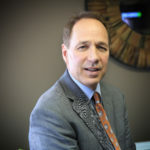 Robert completed a Masters in Organizational Leadership at Azusa Pacific University and earned a doctorate in Strategic Leadership at Regent University. Robert and Patty have three sons, Jeremy, Jonathan and Robbie as well as daughters-in-law, Sheila and Erika, and two grandsons, Alex and Ben. Dr. Carlton L. Cannon and Lettie are native of Delaware. In 1967, he enlisted in the United States Marine Corps attaining the rank of Gunnery Sergeant(E7); selected Warrant Officer(1981) attaining the rank of CWO4 and November 1991, Captain Cannon, distinguished combat wounded Vietnam veteran, retired. Decorations and medals include: Purple Heart w/2 stars, Combat Action Ribbon, Presidential Unit Citation w/1star, National Defense Service Medal w/1star, Republic of Vietnam Cross of Gallantry w/bronze star, Republic of Vietnam Cross of Gallantry w/palm, Republic of Vietnam Commendation Medal, Good Conduct Medal w/3 stars, Vietnam Service Medal, Letter of Appreciation(7), Certificate of Commendation, Meritorious Mast(2), Sea Service Deployment Ribbon w/8 stars, Army Commendation Medal, Navy Achievement Medal, Navy Unit Citation w/1star and a Meritorious Unit Citation. While active duty, captain Cannon served as Director Okinawa Christian Servicemen’s Center (1979-1982 and 1990-1991); selected United States Marine Corps “Family of the Year” (1986) and Church of God “Family of the Year” (1987). Prior to Bishop Cannon’s recent appointment to MTTM, he served as: Administrative Bishop New Jersey(2016-18), chairman Delmarva-DC Regional Ministerial Examining Board(2008-16), District Overseer Southern Delaware(2010-16), Delmarva-DC Regional Council(2010-14), Delmarva-DC Ministerial Development Board(2008-16), Church of God USA Mission Board(2012-16), Church of God Black Ministries USA & Canada Board(2010-12), Church of God International Evangelism and Home Missions Board(2006-10) and continues to serve as an Institutional/Specialized Ministry Chaplain. 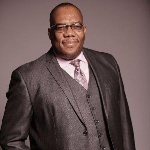 Carlton is a graduate of Wilmington University with a BS Degree in Human Resource Management; MS Degree in Transportation Business Logistics and a honorary Doctor of Divinity from ST Thomas Christian University. Married to Lettie since 1971, they have three adult children: Carlton Jr., Timothy and Carletta; daughter-in-law: Nancey and four grand children: Carlton III, Shekinah, Caleb and Naomi. Bishop Michael J. Smith has served the Church of God as lead pastor with two church plants in Kentucky and two church turnaround efforts; one in Nebraska and one in Illinois. His service as Center Director for MTTM includes Misawa, Japan (1979-82) and Stuttgart, Germany (1984-88). They retired as Senior Pastors at Louisville’s East Side Praise. after 27 years of service there in April 2017. Michael is married to Sherry and they have three children: Melissa (resides in Newport Beach, CA. ), Chris (resides in Louisville, KY. with wife, Leah), and Stephanie (resides in Louisville, KY. with husband, Sean). In addition, Michael and Sherry have five grandchildren: Benjamin, Lily, Matthew, Brenden and Shea. Michael holds a B.A. in Pastoral Ministries with additional studies on the masters level. Rev. Forrest and Denise Bass began serving as the Senior Pastors of North Main in April 2005, but they have served together in ministry for more than 40 years. They have held several positions in the Church of God, all of which shaped and molded them into the spiritual leaders they are today. They have a genuine love for every member, and are the prime example of what a Pastor should be to the church. Pastor Dobbins and his wife Kayla are Senior Pastors at the Twin Rivers Worship Center in St. Louis, Missouri, and have served in that role since 2016. Prior to that, he served on staff at Twin Rivers as Executive Pastor. Joe consults with 24toDouble in helping church growth. He serves on the Executive Council of the Church of God and is a frequent guest speaker for conferences and church growth meetings. He and Kayla have two daughters and a son. Dr. Aaron R. Jones is a native Washingtonian. Upon completion of his formal education in Prince Georges County Maryland, Dr. Jones enlisted in the U.S. Armed Services where he retired from 20 years of service. He earned the rank of Captain and served as a Chaplain to the 2-110th Field Artillery in Pikesville, Maryland. He has supported the war on terrorism by serving his country in Operation Iraqui Freedom III and Operation Noble Eagle. 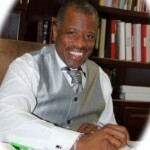 Presently, Dr Jones is Senior Pastor of New Hope Church of God in Waldorf, Maryland. He is also the District Overseer for the DELMARVA-DC District. He is an ordained Bishop in the Church of God Denomination. Dr. Jones serves on the Church of God Ministerial Internship Program Board, DELMARVA-DC Chaplains Board and DELMARVA-DC Regional Council. He is a former member of the Executive Vice President of the National Bible College and Seminary in Fort Washington, Maryland. Dr. Jones answered the call to ministry in 1996. He earned a Doctorate degree in Christian Counseling from American Christian College and Seminary in 2004. 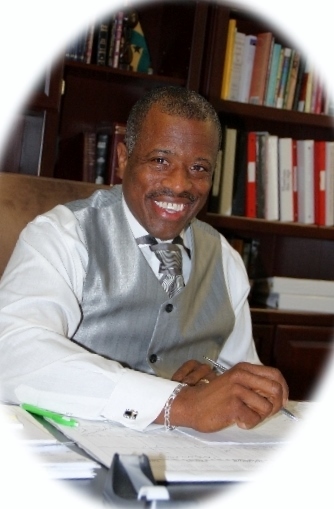 Dr. Jones is also a certified Pastoral Counselor with the International Association of Christian Counseling Professionals and the founder of God’s Comfort Ministries. He is an author of four books entitled: “How The Holy Trinity Communicates to Mankind”, “Eight Effective Keys to Personal Evangelism”, “Equipping the Church for the Harvest”, and “The Pastor’s Intercessor”. Dr. Jones married Rev. Sharon Jones in 1997 . Pastor Victor Massey grew up in Alabaster, Alabama, a suburb of Birmingham. He attended Lee University in Cleveland, Tennessee, earning a degree in Biblical Studies and Pastoral Ministry. While at Lee, he met his wife Jamie, and they married in June 1983. Together they have two sons and daughters-in-law, Micah and his wife Shannon, Caleb and his wife Nubya, and one grandson, Oliver Justice. Victor served as Lead Pastor of Life Church International from 1999 until November of 2016. He thrives most when leading people into a living, growing, and fruitful relationship with Jesus Christ. Victor and Jamie moved to Sumiton to assume the role as Senior Pastor of Sumiton Church of God in Sumiton, Alabama in early November 2016. Chaplain LTC (P) Jimmy D. Nichols was born in Oklahoma City, Oklahoma. In 1985, he enlisted in the Army and served in Hanau, Germany. After his ETS in 1987, he served as a Servicemen’s Center Director in Aschaffenburg, Germany through 1989. Chaplain Nichols is a graduate of Lee University with a BS Degree in Bible and Pastoral Ministry and a Master of Divinity degree from the Church of God Theological Seminary with a completed unit of Clinical Pastoral Education at Erlanger Medical Center in Chattanooga, TN. In 1994, he received a direct commission in the Army reserve with endorsement with the Church of God. He also has a MS degree in Community Counseling from Columbus State University. Prior to Chaplain Nichols’s present assignment at Ft. Sill as the Garrison Chaplain, he served as Division Chaplain for the 7th Infantry Division, Joint Base Lewis-McChord and Pastoral Counseling Instructor and Chaplain Task Analyst Fort Jackson’s U.S. Army Chaplain Center and School in S.C. Chaplain Nichols has also served at Ft. Hood, TX – 4-42nd Field Artillery Btn; at Camp Yongsan, Korea – 524th MI Btn Chaplain; Ft. Bragg,NC and Kandahar, Afghanistan – 82nd Airborne Div., 2-250th Parachute Inf. Btn (PIR); Ft. Campbell, KY and South West Baghdad, Iraq – 2nd Brigade Combat Team, 101st Airborne Division Brigade Chaplain; Heidelberg,Germany – Family Life Chaplain. His military awards include: 2 Bronze Star Medals, Meritorious Service Medal, 4 Army Commendation Medals, 2 Army Achievement Medals, Meritorious Unit Commendation, Army Superior Unit Award, Army Good Conduct Medal, National Defense Service Medal, Korean Defense Ribbon, Army Service Ribbon, Overseas Ribbon (4), Combat Action Badge, Parachutist Badge, and Air Assault Badge. Chaplain Nichols is married to Chaplain CPT (P) Patricia Ward Nichols since 1987. She serves as the Brigade Chaplain for 428 Field Artillery at Fort Sill. They have 4 sons, Wesley, Nathan, John and Jeffrey. Pastor Johnnie L. Quarterman is retired military having spent over 21 years in the United States Air Force. Upon his retirement in 1989, he entered full time ministry as Pastor of the North Valdosta Church of God in South Georgia in 1990 and continues to pastor there. Bishop Quarterman holds an Associate of Science degree in Business Administration from Georgia Military College and his Bachelor degree in Business Management from Valdosta State University. Pastor Quarterman is married to Ida M. Quarterman and have four daughters. Bishop Quarterman served God and country wherever he was stationed. While in England, he was a Pentecostal Fellowship Leader and helped to start a Servicemen’s Center in Alconbury. 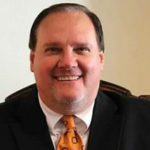 He is highly regarded by his peers in ministry, having served on many state committees and on the South Georgia State Council. Pastor Sims has been the Senior Pastor of the Bethesda Church of God since 1999. He came with a vision to win the city for Christ. He continues to hold that vision to reach, teach and develop souls for Christ and to help people realize that being a Christian is the best life, here and in the hereafter. Pastor Smith his wife Kim are Senior Pastors of Oak Park Church of God in Mobile, Alabama. Pastor Smith studied ministry leadership and pastoral studies at Lee University and church and ministry leadership at Patten University. He and wife Kim have three children and 1 grandson. He has served on numerous leadership capacities and ministry boards, including: District Overseer, State Council, State Evangelism Board, State Youth Board, World Missions Board, and many others. Pastor David is leading the Oak Park congregation in a pursuit of God’s glory and a desire to reach the lost with a vision to “Love, Grow, Serve”. 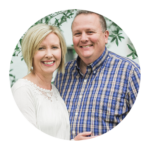 Pastor Wade and his wife Lori are Senior Pastors at the Loxley Church of God in Loxley, Alabama and have served there since Jan. 2017. They served previous in pastorates in Scarborough, Maine and Norman, Oklahoma. Before serving as Lead Pastor, they served as youth pastor in three churches around the southeast. Wade and Lori are graduates of Lee University. They have two adult children and one grandson. 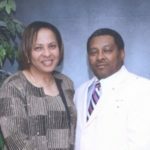 Pastors Darrell and Pauline Waller have been leading Wincog since 1981 and have invested their lives into the people and community there. They’ve had opportunities to leave and take leadership positions in other places, but they chose to stay, because their heart is at Wincog. Through the hard times and through the good times, they pastored a small group of people who have now become thousands that impact the world. We welcome them to the MTTM Advisory Board and look forward to serving. Vincent Collins served 22 years in the United States Army retiring as a First Sergeant in May of 2002. 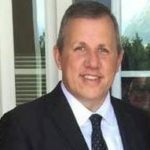 His tenure of service has included tours in Germany, Korea, Maryland, and South Carolina where he currently serves as the founding Pastor of the Agape Worship Center in Columbia. 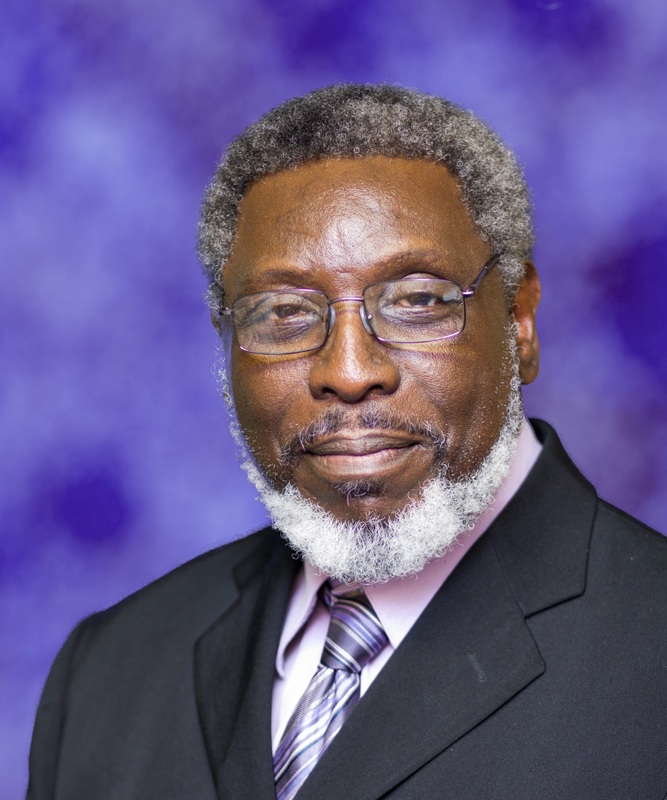 He holds a Bachelor of Science Degree in Organizational Management from Voorhees College and a Masters of Divinity in Pastoral Leadership from Columbia International University, Columbia, South Carolina. He is currently pursuing a Doctorate of Divinity with Erskine Theological Seminary. Bishop Collins and his wife Christle have a daughter, Christy. Bishop Stan Lester serves as Lead Pastor for the Crosspointe Christian Centre in Dalton, Georgia where he has served since September 2008. They have many military veterans in the congregation who are involved in Crosspointe’s strong benevolence outreach to their community and overseas. Prior to his ministry at Crosspointe, Pastor Lester and his wife April spent more than 15 years as Student Ministries Pastor at Trinity Chapel in North Georgia. He earned a B.A. from Lee university, and an M.Div. from the Pentecostal Theological Seminary. He and April have three daughters, Ansley, Madison, and Emma and a son, Evan. Mr. Jeremy Moore was born and spent the first eleven years of his life on the mission field in Germany with his parents. Many of his earliest memories involve sharing times of fellowship with US military personnel and their families stationed in Europe. Jeremy’s military career involved Basic Combat Training at Ft. Leonard Wood, Mo and an assignment with the Army Reserve Public Affairs Unit. His subsequent civilian career has been in banking, financial services and entrepreneurship. He is founder of BonLife Coffee and is employed with Bank of the West. 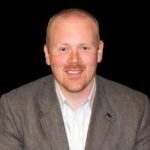 He is a Business and Communications graduate of Lee University (2000) and studied Management at Auburn University. He and his wife Erika have two sons, Alex and Ben. Dr. R. C. Hugh Nelson leads a diverse outreach to the citizens of New York City, particularly the people of Brooklyn. Born in Jamaica and educated in Europe and the USA, Bishop Nelson brings a unique cross-cultural and international perspective to any organization he is part of. While completing a masters degree in psychology, he worked at a mental health facility in Chattanooga, Tennessee. Subsequently, as lead pastor of a multi-national church in Toronto, Canada, he actively helped the city to organize a coalition among the area churches in order to help the poor and homeless. Since moving to his current pastorate in 2003 at the East Flatbush Church of God, he again has helped organize hundreds of volunteer organizations to help make their community a better place to live. His first exposure to the ministry to the military was during his student days in Germany where he attended the European Theological Seminary. He attributes much of his perspective toward multi-cultural and interdenominational ministry to his days serving as student and intern with a servicemen’s center in Stuttgart, Germany. Bishop Nelson earned a D. Min from New York Theological Seminary. He is married to Diana and they have a son, Raphael and a daughter, Sigourney. Dr. Pike has served as a long term teacher/educator and football coach in the public school systems of Georgia. He also was the founder and first principal of Oak Cliff Christian Academy in Mobile, Alabama. He has been a long term lay-leader in the ministry of his local church and supporter/developer of a large number of volunteer benevolence programs to disaster-affected areas of the USA and overseas. He has a B.A. from Lee University, an M.A. from Georgia State University and a Ph.D. from Northwestern University. Dr. Pike has one daughter, Tracy and one granddaughter, Sterling. Pastor Vallejos is a retired US Army Senior NCO and a highly decorated Operation Desert Shield/Desert Storm Veteran. While on active duty he distinguished himself in his performance as a soldier and as a Christian lay-leader in the military chapel, as well as in a variety of Christian ministries serving soldiers, veterans, and their families. While serving in Hohenfels, Germany he and his wife Carol began a Pentecostal Fellowship which was established as All Nations Christian Servicemen’s Center that still continues today. His passions remain winning the lost to Christ, evangelism and preaching the Gospel. He has been instrumental in establishing and leading causes for all Americans, especially Hispanics and Latinos that have been unprecedented and life changing for thousands. He is currently campaigning and pursuing the office of State Representative for the state of Tennessee. As County Commissioner of the 14th District of Montgomery County, he serves the Fort Campbell, Clarksville, Oak Grove and Hopkinsville communities. He is also currently serving as the Montgomery County Mayor Pro-Tem. Pastor Tommy and wife Carol have 4 children, Jessica, Tommy Joe, Christina, and Jacob and 7 grandchildren.